An article from the Primal Angler blog was recently featured on the Venturing Angler: Fly Fishing Travel Blog. 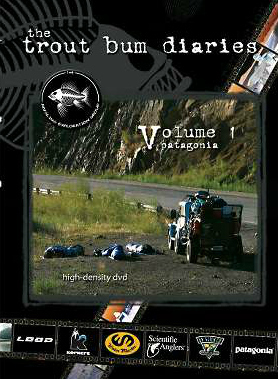 “When the Angling Exploration Group released the first volume of the Trout Bum Diaries, it was truly one-of-a-kind. At the time, fly fishing films were few and far between, and a film documenting any sort of exploratory ventures was hard to come by. Now, of course, the market is flooded with fly fishing films (not that we’re complaining! ), and the impact of any single film is usually far less than what TBD delivered. Exclusive Content available only on the Primal Angler Blog – Read the Original “Trout Bum Diares: Behind the Scenes” Article HERE! Welcome to offthehookadventures.net, we providing Argentina trout Fishing, Patagonia trout Fishing, Argentina fly fishing, Patagonia fishing lodges, Argentina fishing lodges, Patagonia fly fishing lodges, golden dorado fishing Argentina, Golden dorado fly fishing.